PHOTO BY CARRIE ANN GRIPPO-PIKE Snowy owl sightings are being reported around Rochester. Snowy owls in Rochester? They've been delivering holiday cards to the area's magic community, no doubt. Though the owls generally spend their winters far north of Rochester, they do show up in the area from time to time. And this year, snowy owls have been spotted across New York. In Rochester, a few have been sighted at Braddock Bay and the Rochester airport, says June Summers, president of the Genesee Valley Audubon Society. Summers says that near the beginning of December, her friends counted 13 owls at spots around Monroe County. 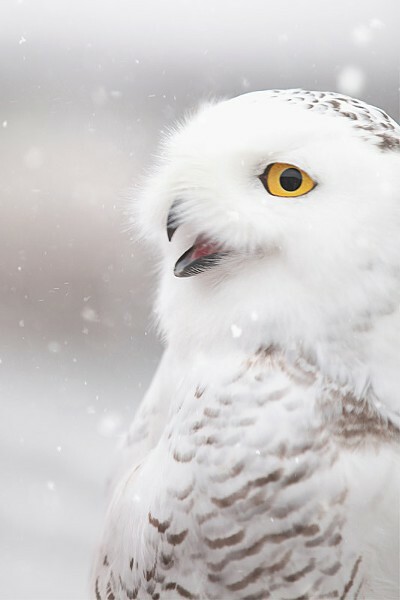 Cornell University ornithologist Chris Wood, quoted in Audubon Magazine, says it's an extraordinary year for snowy owl sightings in the northern US. "Already we can see that this year is one of the biggest irruption years ever for snowy owl," he says in the magazine. Snowy owls are grassland and tundra birds, Summers says, so they're often found in open, flat areas. That's why many of the local sightings happen along Lake Ontario or in farm fields. The owls can be tricky to spot, Summers says. At first glance, they often look like slightly dirty blobs with yellow eyes, she says. Michael Burger, director of conservation and science for Audubon New York, says the owls tend to head south when their preferred food source, lemmings, becomes scarce. They're hunting small mammals, he says, though if they're near water they'll eat ducks or other water birds. There is one unusual aspect to this year's sightings, Summers says. Typically, the owls come in waves every three to five years. But the last influx of snowy owls visited Rochester just two years ago, in 2011, she says. Whether it's just an aberration or a change in pattern will be interesting to see, Summers says.